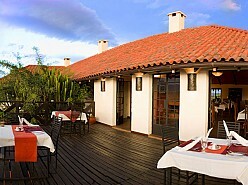 Ngorongoro Serena Lodge offers guests the opportunity to visit one of the world's most incredible natural wonders, the Ngorongoro Crater, a UNESCO World Heritage Site and natural phenomenon.75 stylish rooms situated around the crater rim. Ngorongoro Serena Lodge offers guests the opportunity to visit one of the world's most incredible natural wonders, the Ngorongoro Crater, a UNESCO World Heritage Site and natural phenomenon, a life-changing experience. A volcanic crater of over 259 square kilometres with surrounding walls rising 609 metres above it, the crater is a natural sanctuary for over 25,000 animals, including the black rhino. 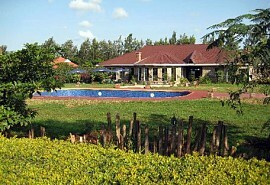 It is also a conservation area inhabited by the Masai tribe. The magnificent Ngorongoro Serena Safari Lodge is built of stone and boulders and is situated on the edge of the crater offering easy access. 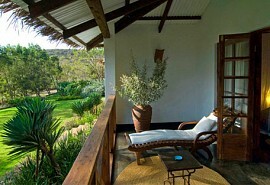 The lodge offers a traditional East African feel combined with luxury accommodation and spectacular views. 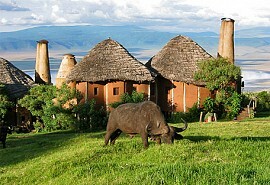 In our opinion, Ngorongoro Crater is one of the best game viewing reserves in Africa. The reserve is contained small enough to traverse in a day. The open spaces and savannah in the crater also leads itself to easily accessible game viewing. Unlike some reservers, game can be spotted from a distance. 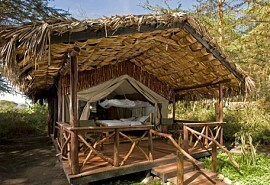 Activities at Ngorongoro Serena Lodge include half day trips into the caldera, visits to a local Maasai village and a variety of hiking trails, where guests are accompanied by a Maasai warrior. Game drives through the crater can also be arranged; as well as, bush walks, picnic lunches, excursions to the nearby Oldavai Gorge, the 'birthplace of mankind' and a variety of cultural events. 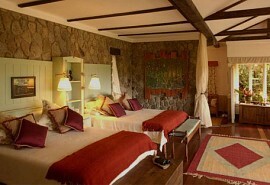 Ngorongoro Crater Lodge offers a combination of modern luxury and traditional old Africa in classic Maasai mud-and-stick-style suites. 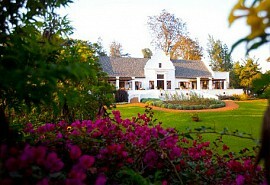 It has one of the best views of any game lodge in Africa. 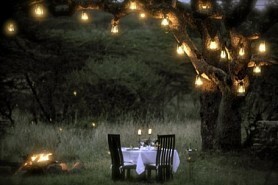 This quick 7 night fly-in safari is ideal for honeymooners. You'll have the chance to explore the wild Serengeti - home of the annual migration, take in the sights of Kilimanjaro and spend your time game-viewing.